5 pack of high-performance battery with 4000 mAh /3.7 V for long performance, especially in the winter time. 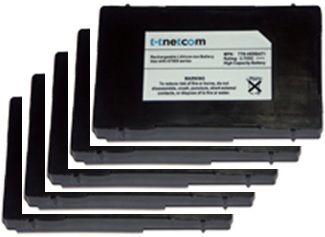 These original lithium-polymer batteries for the handheld series tt7000 and tt8000 give full power to your devices again. Packing unit (PU) 5 pcs. Higher amounts at any time. Please contact us!